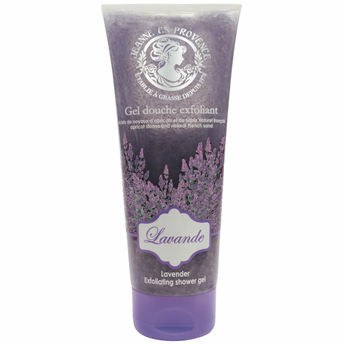 Gently cleanse and exfoliate your skin with this delicately fragranced exfoliating Lavender Gel by Jeanne end Provence. Enriched with a burst of Mediterranean apricot stones, natural French sand and 100% natural exfoliating grains get rid of those dead skin cells and skin impurities in an instant to reveal a clearer and softer looking skin. Explore the entire range of Shower Gels & Body Wash available on Nykaa. Shop more Jeanne en Provence products here.You can browse through the complete world of Jeanne en Provence Shower Gels & Body Wash .